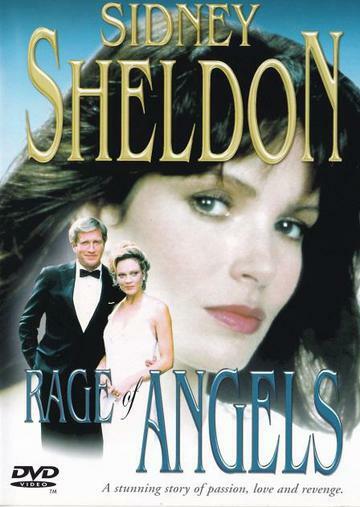 RAGE OF ANGELS & THE FINAL REVENGE. JACLYN SMITH plays determined young lawyer Jennifer Parkes; who fights against the odds to triumph as a top trial attorney. Jaclyn Smith, Ken Howard & Armand Assante. Jennifer faces a terrifying confrontation that could destroy them all. As she moves from the law of the land to the law of the jungle, the only case Jennifer can't seem to win is the trial for her heart. ANGELA LANSBURY & SUSAN SULLIVAN. danger of the streets of New York to the elegance and mystery of Rome. As the intrigue builds, it encompasses an undying but ill-starred love affair, bitter revenge, tearful tragedy and deadly blackmail At its centre stands high-powered New York trial lawyer and devoted mother Jennifer Parker, whose personal and professional ambitions often bring explosive results. Having made the heartrending decision to break away from her one true love and father of her child, ambitious and married politician Adam Warner, Jennifer sets about rebuilding her career and finding happiness again. Dangerous ghosts from her past come back to haunt her, though, in the shape of ruthless mobster James Moretti. His brother Michael had been obsessed with Jennifer and had died because of it. Now, the vengeful James is out to blackmail both Jennifer and Adam over their illicit love and ultimately wants Jennifer dead. But Hell bath no fury like the Rage of Angels. This is a Double DVD set. based upon your postal address. Please see our FAQ section on TV standards and region coding. movie you have selected, we will issue you a immediate refund.